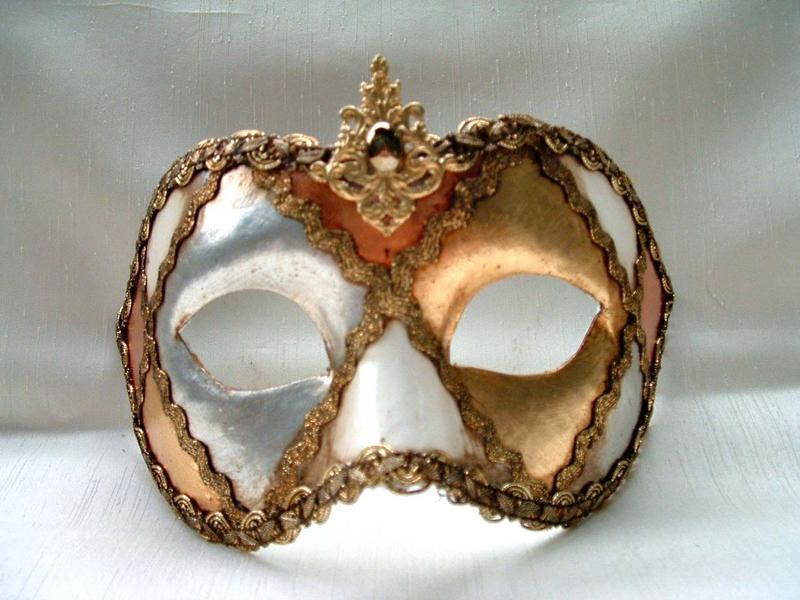 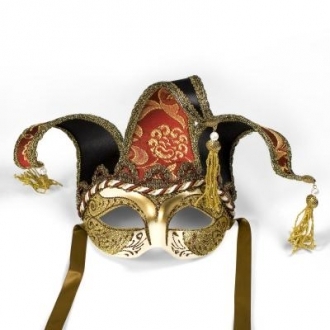 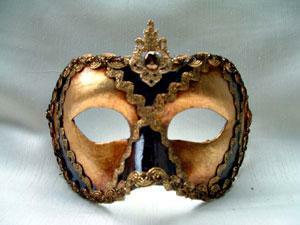 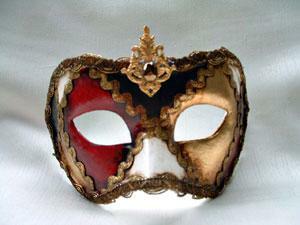 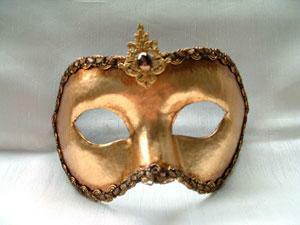 Exotic Multi-colored metallic Columbina Mask is hand crafted by Premiere Venitian Master. 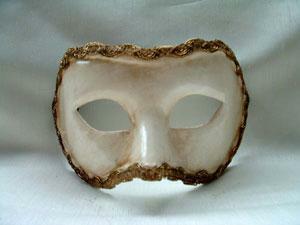 Has beautified macrame around the mask. 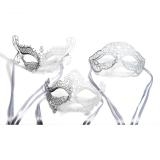 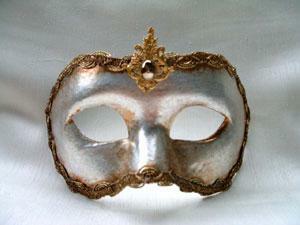 Glowing Center Bead enhances this eye catching mask. 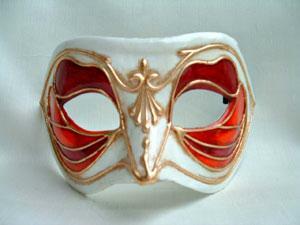 Made of papier-mache. 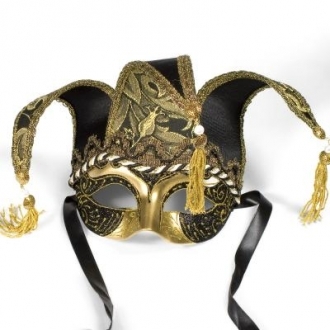 Has a hang tag "Made in Italy"